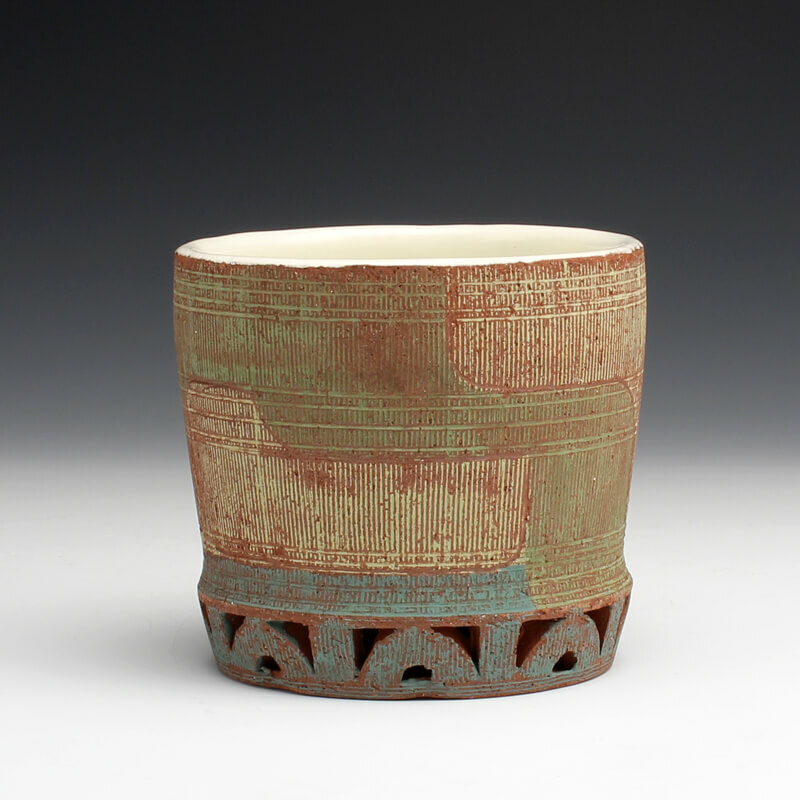 “Devoted to repetition and structure, I have most recently been working in pottery forms as my canvas. Having been inspired to pursue the craft through my father, many of my recent forms are an homage to his pots and a recognition of his influence as a potter, builder and craftsman. My process begins with constructing wheel thrown vessels then dismantling them through carving a facade of structure that often pierces the wall of the pots. The pot form appears built by layers of arches, posts, lintels, and discs. All of which are references to architectural elements that influence me.